My oldest daughter likes her peanut butter thin, with about half a jar of jelly. No joke. It’s almost a little TOO much (did I just say that??). And my youngest girls and son like thin on everything. The thinner the better. As for the jelly, put it on, but makes sure it doesn’t ooze out. Really, they just like a small smear that is barely there. 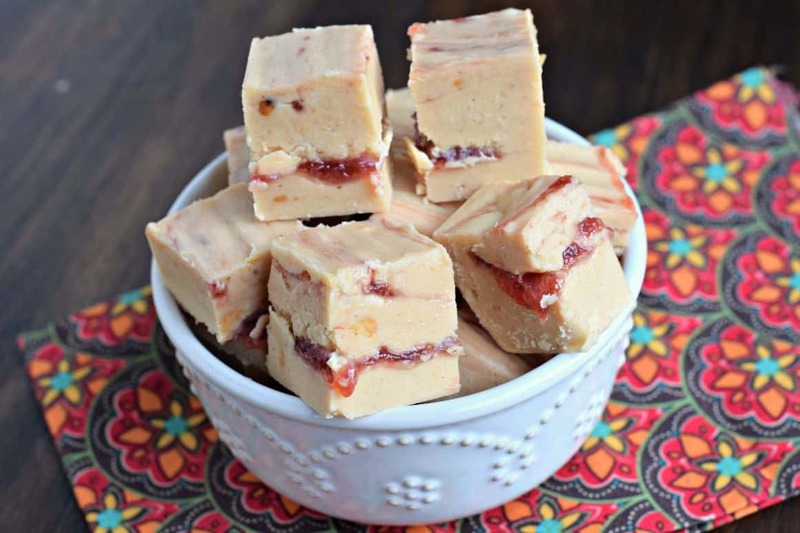 I’ve been wanting to make a Peanut Butter and Jelly Fudge for some time now. But my fear was, what if nobody likes the way I make it? Then I’m stuck eating it all myself (okay, that’s not a real problem, I kid!). Here was my solution: while spreading on the jelly, I kept it real thin on the sides of the fudge, and much thicker near the center. You can swirl it in more too, so that it runs throughout the whole pan of fudge from top to bottom, side to side. But I kinda like the glop in the center, reminded me of my favorite sandwich. 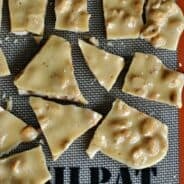 I also used half crunchy peanut butter and half creamy. 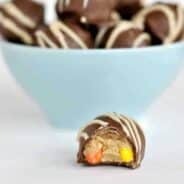 So in every bite, you had a little bit of crunch. Seriously, it was perfect. I only wish I had made the whole pan my way so I didn’t have to share!! How do YOU like your peanut butter and jelly sandwiches?? 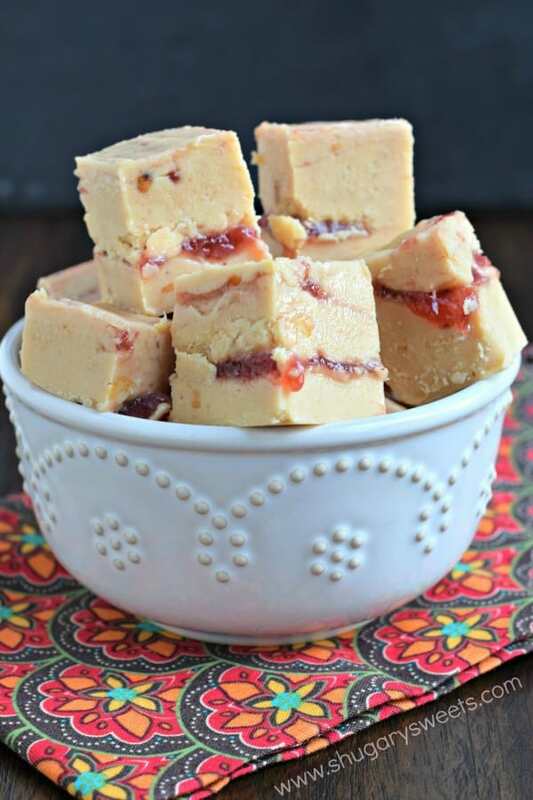 Be sure to stop over at Food Fanatic and print the Peanut Butter and Jelly Fudge recipe for later, and check out my guide for more tips on how to make fudge! But you can make all my PB & J fudge for me. I think you will make everyone happy with this one! I crave pb and j everyday. 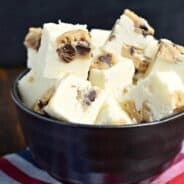 Now, I am going to start pb&j fudge! I love peanut butter and jelly! These sound so good! Oh yes, the PB&J MUST be thick, especially if it’s for fudge! Sometimes you can’t beat a classic like PB&J! Love that you turned this into fudge! 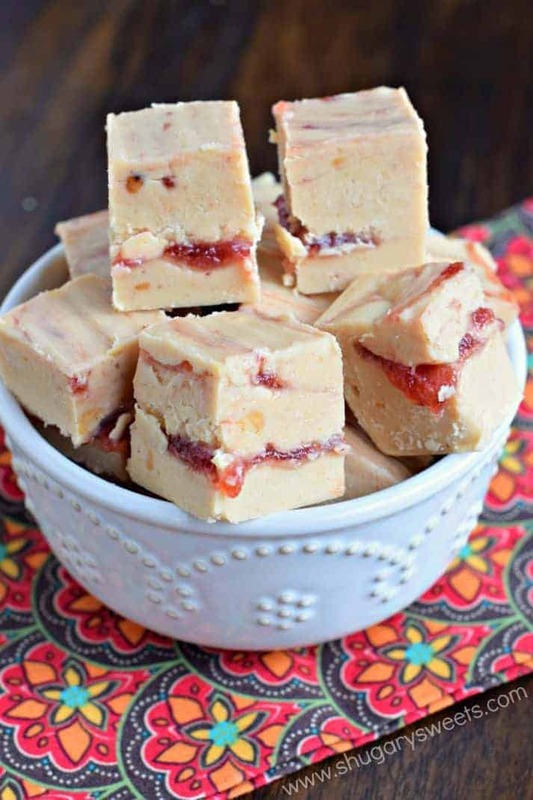 I am thick pb, thick jelly allll day 🙂 This fudge look melt in your mouth delicious! My PBJ sandwiches are few and far between these days but when I do have one, I LOVE them! I think I’m usually in the thin/thin (and crunchy!) camp, but I like to mix it up 😉 I’m also firmly in this fudge’s camp..because YUM! I am all about option number 3 as well but i can’t just can’t do crunchy! Looks amazing! I am soooo in love with this fudge. I mean, it’s PB & J in FUDGE-form. Freakin’ amazing! I am thick PB and thin jelly! These look amazing! Tell your hubby there’s another who likes the peanut butter and no jelly. I’ve been here almost six decades and have never eaten a peanut butter and jelly sandwich. It’s either a peanut butter sandwich or a jelly sandwich. I’m not crazy about mixing my foods.